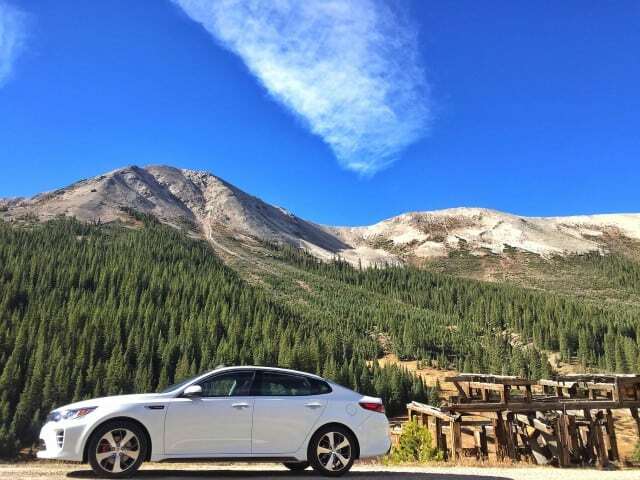 A couple months ago I had the opportunity to head to Aspen, Colorado to drive the 2016 Kia Optima. 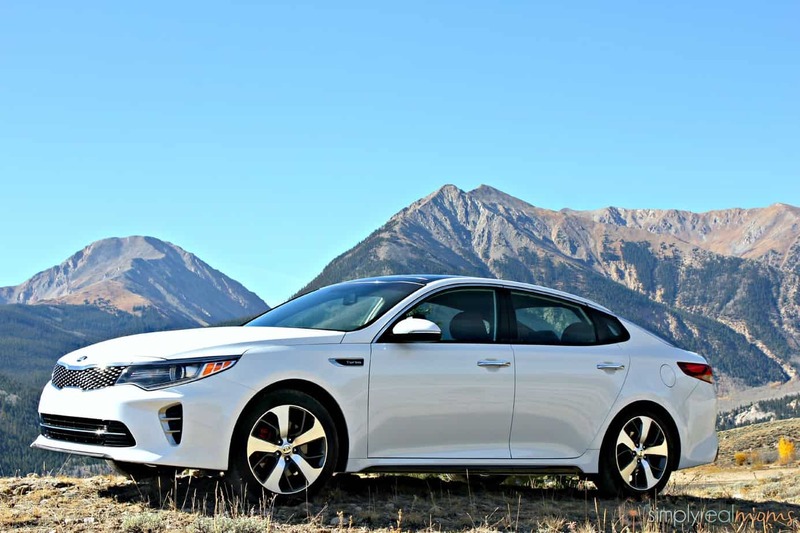 Aspen has always been a bucket list travel destination of mine and the new Optima couldn’t have been a more perfect vehicle to explore it in. We visited Aspen during October, which meant fall was in full effect. With the jagged mountain peaks, colorful plants and trees, and still lakes, it was everything I ever imagined it would be. The all-new Optima complimented the picturesque scenery beautifully with its dynamic and sophisticated exterior design is. The aggressive front clip pulls the sheet metal taut over the wheel arches, and the swept-back headlights reach deeply into the fenders. On the SX and SXL trims, Kia’s signature tiger-nose grille is hot stamped and composed into a sophisticated pinpoint design that bears a strong resemblance to Kia’s luxury sedan, the K9001. 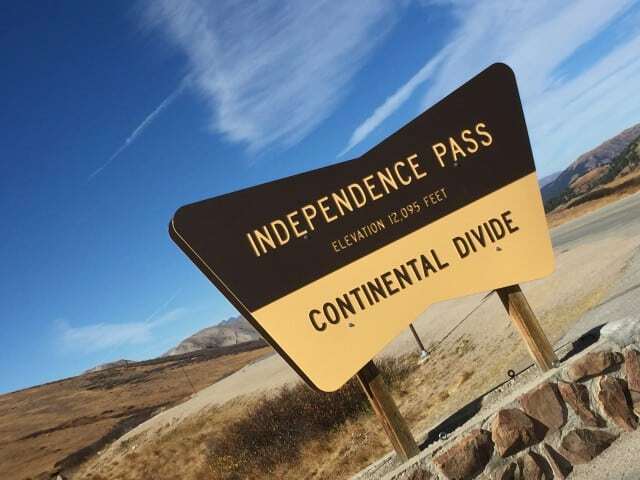 We set out early morning and headed up the mountain to Independence Pass, which is at an elevation of 12,095ft. 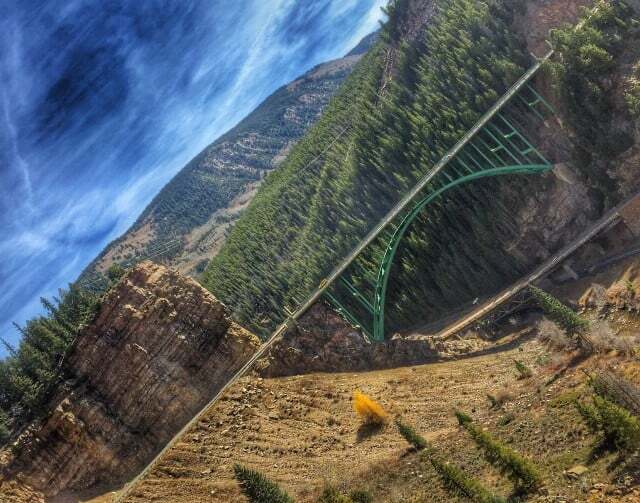 I’ll be honest, I was a little nervous to drive up that high in elevation, but once we got going I had no problem. Thanks to the Optima’s larger, more comfortable interior, I didn’t feel confined to the sedan and was able to enjoy the scenery around me. Kia paid close attention to how the seat was designed, and it shows. Not once did my back hurt during our 6-7 hour drive. 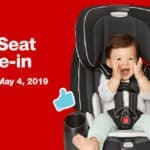 The stiffer seat frame helps to reduce vibration; the soft foam in the headrest and upper back, and denser, more supportive foam in thigh-support areas allow occupants to nestle into seats with deeper side bolsters. While seat comfort can only take you so far, entertainment will take you the rest of the way. I refuse to buy vehicles that have horrible sound systems in them. I take my music seriously and while I am on the road, I want to truly enjoy my drive. While the standard six-speaker audio system is fantastic, I am obsessed with available Harman/Kardon QuantumLogic™7 Premium Surround Sound Audio System8, which happens to be a Kia-first. 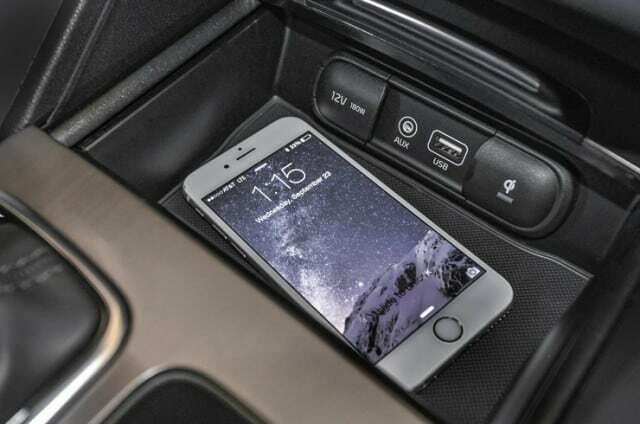 The all-new Optima also features UVO2, which is Kia’s cutting-edge connectivity system. UVO2 comes standard with four additional eServices not previously available on Optima: Geo-fencing, Speed Alert, Curfew Alert and Driving Score3. 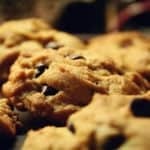 It will also (eventually) have Android4 Auto™ and Apple5 CarPlay® available. For Optima drive, I was paired with a driving partner. It’s just something that happens at media drives and does have its perks. I mean, you get to enjoy the scenic drive as a passenger. However, I am a pretty nervous passenger and the only person I honestly trust driving is myself. Luckily my nerves were calmed thanks to all the incredible safety features in the all-new Optima. Intuitive High Beam Assist (HBA), which recognizes oncoming traffic and automatically switches the lights to low beam until the opposing vehicle has passed. 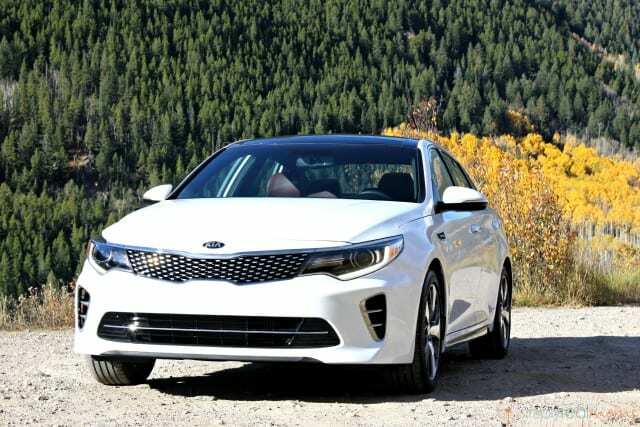 The Kia Optima has always been one of my favorite mid-sized sedans and after driving the 2016 model, it has only confirmed it. From comfort to style, sophistication to performance, the 2016 Optima is a car that will impress. The all-new 2016 Optima starts at $21,840.